If you’re frustrated with Facebook Frustrated with Facebook? 5 Tips to Reclaim Your Sanity Frustrated with Facebook? 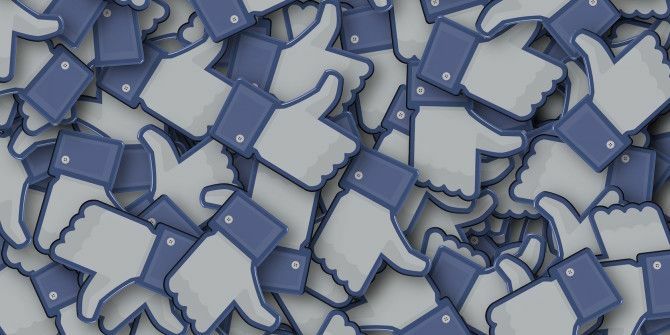 5 Tips to Reclaim Your Sanity The real-world social implications of Facebook make it difficult to deal with frustrating online situations. Here are five tips to help you keep your Facebook feed drama-free. Read More , find it sucking up way too much of your time, are concerned about your privacy 8 MORE Steps To Regain Control Of Your Facebook Privacy 8 MORE Steps To Regain Control Of Your Facebook Privacy Read More , or simply no longer have a need for the social network — it’s remarkably easy to put your account on pause. By deactivating your account, you can not only disappear from Facebook, it also stops your friends and followers from being able to comment on your posts or share any links or messages on your wall. To temporarily deactivate your Facebook account, in a browser, go to Settings > Security > Deactivate Your Account. You can also deactivate your account through the Facebook mobile app. Go to Settings > Account Settings > Security > Account Deactivate. You will be prompted to enter your password in order to deactivate your account. As Facebook points out, deactivating your account will “disable your profile and remove your name and photo from most things you shared on Facebook.” So if you’ve posted something on a public page, for example, it will simply read Facebook user. Things that will still be visible are messages you sent to your friends. Once you deactivate your account, you will be automatically logged out. If you want to completely delete your Facebook account, you’re going to have to reach out to Facebook. They don’t offer users an easy way to delete accounts themselves and once deleted, some of your data may remain on Facebook servers. Facebook says that it may take up to 90 days to delete any data stored in their backup systems, but that data will not be accessible on Facebook. Facebook says that copies of “some material” may remain in their database but will bear no personal identifiers. They give only one example of what that data might be — log records — without going into any further detail. When deleting your account, if you log in during the time that it takes for your account to be deleted, it will cancel the deletion. You can also download a copy of your Facebook data before deleting the account by going to Settings > General > Download a copy of your Facebook data > Start My Archive. Have you thought about deactivating your Facebook account? Let us know why in the comments. I don't want to be on this account. I cannot leave comments or reply to comments! PLEASE HELP! Have 3 facebook accounts with the name Nancy Giffard and want to deactvate them all. Hi LeAnna - If you still have the login information for the other accounts, you can just use the instructions listed in this article. While this sounds all fine and good, just keep in mind that just because you deactivate your account, every thing you posted to included pictures and associations are still out there and it will never go away. That's true. As mentioned in the article, posts on public pages will still exist out there in the wild, but they will no longer have your name/profile pic attached to them. I have two Facebook accounts. The one with the name Lisa Walls Griffith needs to be deleted. It was only created temporarily because I could not log on to my original page which is under the name Lisa Jan Walls Griffith. Could somebody please please please help me with this. This is my second request. I have two Facebook accounts and would like to delete one of them. The one I want to delete is the 2ND Facebook I opened. I would like to keep the original page I created which is under the name Lisa Jan Walls Griffith. Could someone please help me get rid/delete the 2ND Facebook page which is under the name Lisa walls Griffith. Lisa - do you still have the login information for both accounts? Sometimes that's just the most convenient way to keep in contact wth people.